Enter a dream-like world for two nights as you and a guest stay in a designer-created treehouse high above the ground within beautiful and peaceful woodlands. The treehouses are built to blend into the environment, and will allow you to escape away from it all in the heart of natural beauty. Let the magic of the treehouse entice you with its specially designed woodburning stove which heats the treehouse as well as the water that falls from the spring water shower. Rather then having electricity, you will be able to create the perfect romantic atmosphere using solar lanterns and candles for those cosy nights in. The treehouse also includes its very own library for you to enjoy. 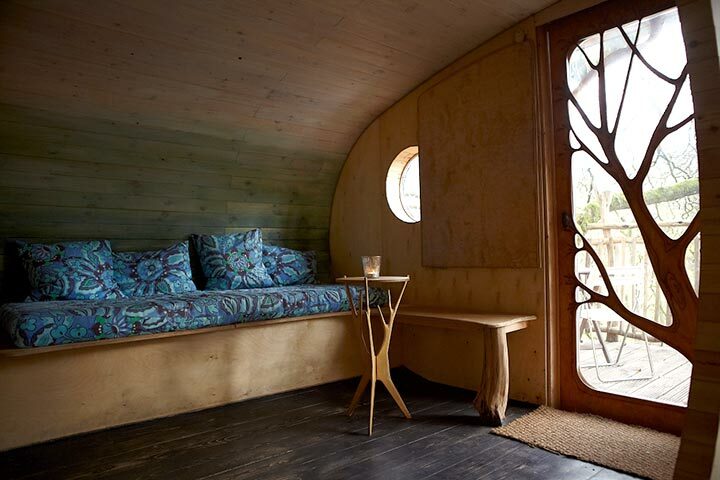 Your treehouse is designed with luxurious fabrics, retro furniture and a comfy bed. You will also find the quirky and unusual Swedish compost toilet accessed over a rope bridge! 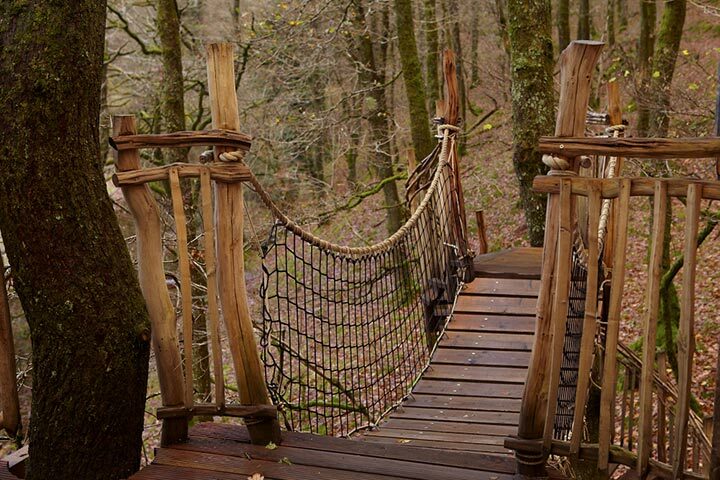 The treehouses are set within stunning woodlands, alongside open pastures and mountain streams. There are plenty of activities nearby for you to enjoy, from walks, and mountain biking to visiting some of the finest beaches in Wales. The beaches offer a wide range of activities such as kite surfing and kite boarding. Your personal library will also include guides to the local area with recommendations for visits and activities. All information is close to hand to make your experience simple and relaxing. Located on the edge of the Snowdonia National Park, this is the perfect way to escape and embrace the simple pleasures in life. 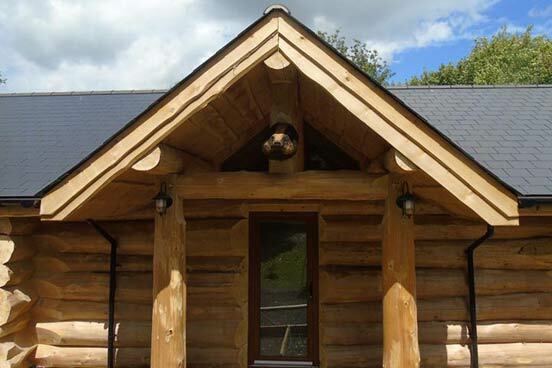 The Treehouse is only eight miles from the bustling market town of Machynlleth in Mid Wales or for something a little closer, you are only a 15 minute walk away from the local pub! 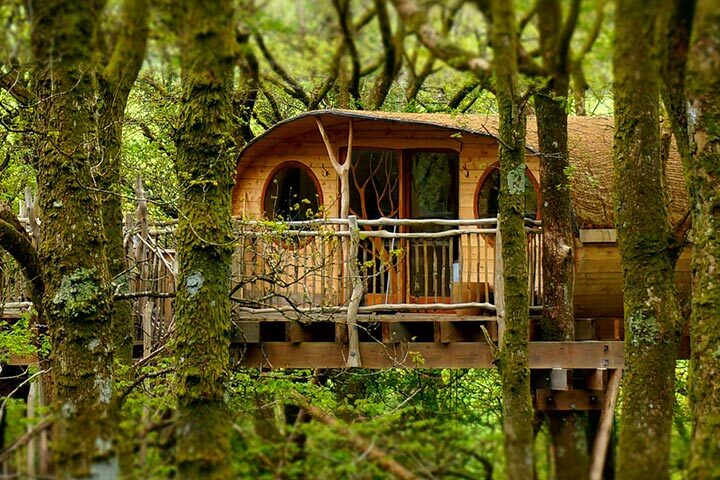 This package is a two night, self catering stay within one of the six individually designed treehouses. You can arrive between 3pm-4pm on day 1. You will be met on arrival in the car park and taken to your treehouse by a member of the team. 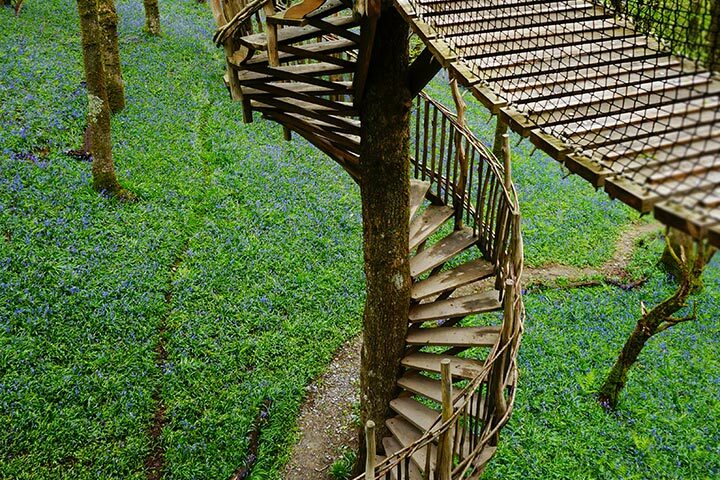 Please note the treehouse has a spiral staircase as its primary access. If this will cause any difficulties, please make this clear at the point of booking. 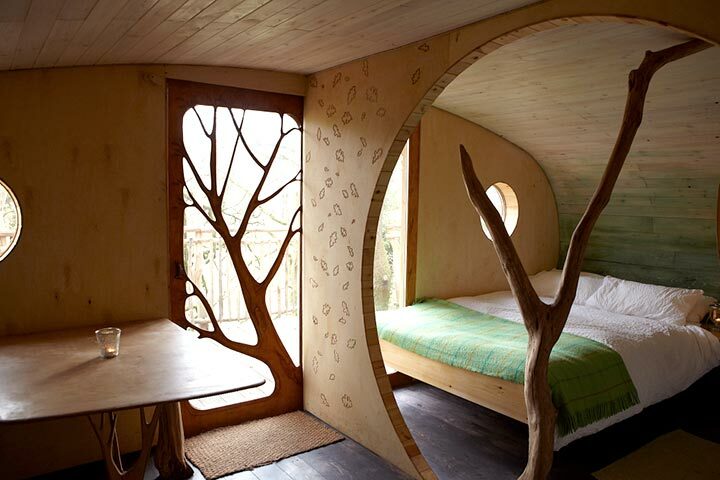 You can book your treehouse experience to start on a Wednesday, Friday or Sunday. 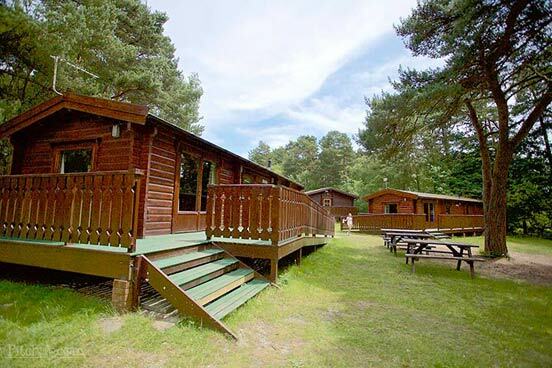 This is a two night stay, if you arrive on a Sunday you can enjoy a 3rd night free of charge. This break is for two adults and two children to enjoy. 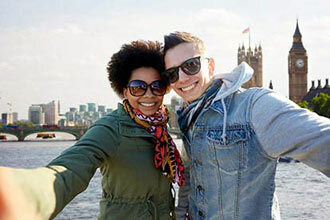 This break is for two adults (minimum age 18 years) plus two children 17 or under. There is some walking required along fairly flat grass to get to the treehouse. 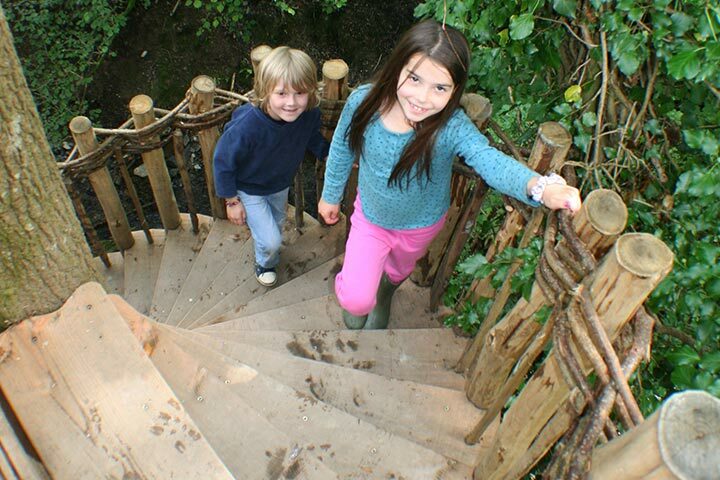 There is a spiral staircase as the primary access to the treehouse. Please make it clear at the time of booking if this is likely to cause difficulty. This is a self-catering experience and it is recommended that you take as much food as you’ll need! All linen and toiletries are supplied apart from towels.